This "blog" houses all the content that doesn't necessarily fit our main site (but that still interests us). This may included (but isn't limited to): Magic: the Gathering, skateboarding, beer, technology, etc. Theros is upon us. 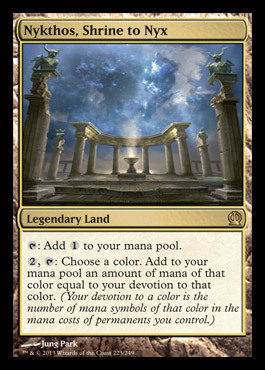 A large block expansion of Magic: the Gathering, this set is loosely based on Greek mythology, and is set to release on September 27th, 2013. 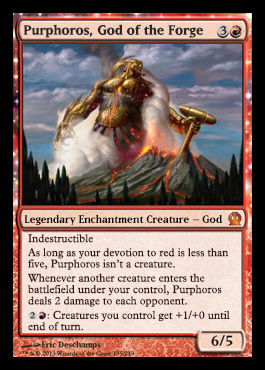 Based on what we've seen so far, I'm very excited to play with Theros. So, let's cover the cards that have been spoiled thus far. 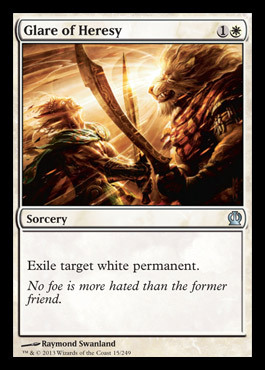 As with previous sets, WoTC does these spoilers in daily cycles, so I'll be posting updates regularly as they hit the Interwebs. So, all five Gods and three of their weapons have been spoiled. 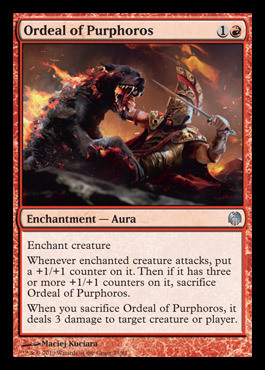 While the Gods seem to have some of the same flavor and abilities as a planeswalker would, they have the benefit of being indestructible and can become creatures (assuming you meet the proper devotion requirements). This devotion mechanic will definitely force players into mono or dual-colored decks, at least for those wanting to utilize these unique cards. It's important to note that the Bident of Thassa is actually the "Buy-a-Box" promo for Theros - and while good, I think the Bow of Nylea is the best spoiled so far. Some are calling it "Bowezawa's Jitte," obviously in jest. Still seems very versatile when compared to the others - but only time will tell (since two are yet unspoiled). Each of these cards was designed to focus and destroy cards/spells/lands of the same color. 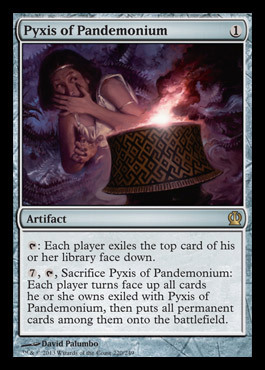 WoTC knows that these make great sideboard cards against certain decks in constructed - so it'll be interesting to see which of these sees random play over Theros's lifetime in standard. I doubt any of these will see much/any play in older formats - but I could be wrong. 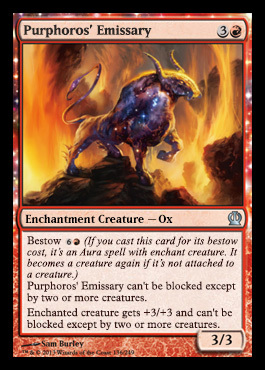 Since Theros is an enchantment heavy block, WoTC wanted to make Bestow an interesting mechanic to get around the "feel-bad" moments of responding to Aura spells with removal/bounce. With these creatures, if their Bestow target is destroyed before they enter the battlefield, they just enter as normal creatures. 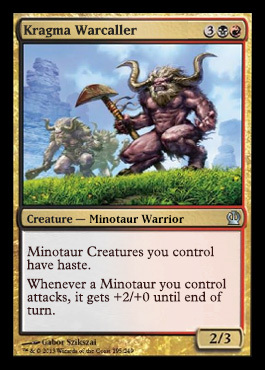 They're quite versatile, though we haven't seen too many that are aggressively costed for constructed (yet). Monstrosity is a mechanic that allows you to sink mana into a creature you've already played to make it larger (with counters) and sometimes perform a special ability (Nessian Asp is the only creature (already spoiled) that only gets counters when it becomes monstrous). Stormbreath Dragon, while no Thundermaw Hellkite, will likely see a bit of constructed play. 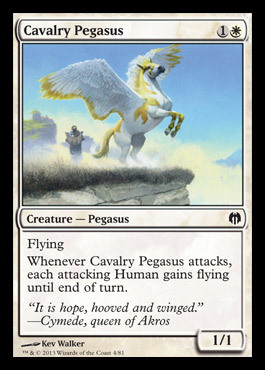 Protection from White can be extremely relevant - dodging Warleader's Helix, Azorius Charm, Detention Sphere, etc. A few others, like Fleecemane Lion, will likely see play as well. These cards seem quite cool. Heroic is an ability that triggers whenever the creature with Heroic is the target of a spell or ability. And while most of the triggers are mediocre, some (like Anax and Cymede) could potentially end games. Quite powerful. As a blue mage, I'm most excited about Scry returning as a mechanic. And while we don't have a blue draw spell (replacement for Think Twice and/or Thought Scour) , WoTC did give us a replacement for Augur of Bolas with Omenspeaker. 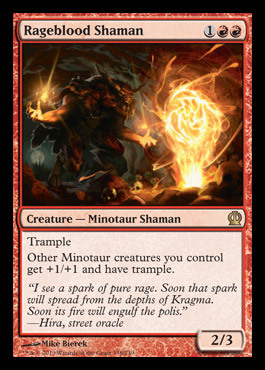 Reprinting Magma Jet was awesome since red is losing so many good burn spells (Bonfire of the Damned, Searing Spear and Pillar of Flame to name a few) and Thoughtsieze gives black yet another answer to everything in the standard meta. 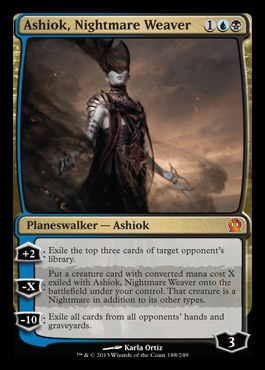 The three planeswalkers are quite powerful and flavorful, although Ashiok does seem a bit less playable than Elspeth and Xenagos. Medomai is Time Walk on a flying body, so it'll be interesting to see if he makes an impact on standard - his only downside is that he dies easily to Mizzium Mortars and Warleader's Helix, which are currently the best burn spells in standard. 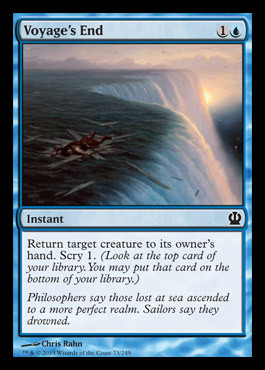 Well, obviously WoTC has yet to spoil any sort of dual-land cycle. 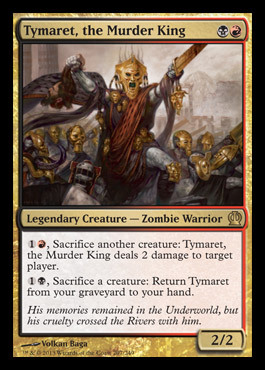 Not sure what they have in store there, but that will have a huge impact on how standard plays out until the next core set (and expansion block). Blue still needs (or I should rephrase, "would like") a good cheap card draw spell. Preferably Preordain. We're still waiting on two of the God weapons to be spoiled, as well as a large bulk of commons and uncommons. Needless to say, I'm constantly refreshing the spoiler threads on reddit. Names, images, cards and related art are all trademarks of Wizards of the Coast.